After thorough discussion and assessment, you are now ready to officially appoint your agent. 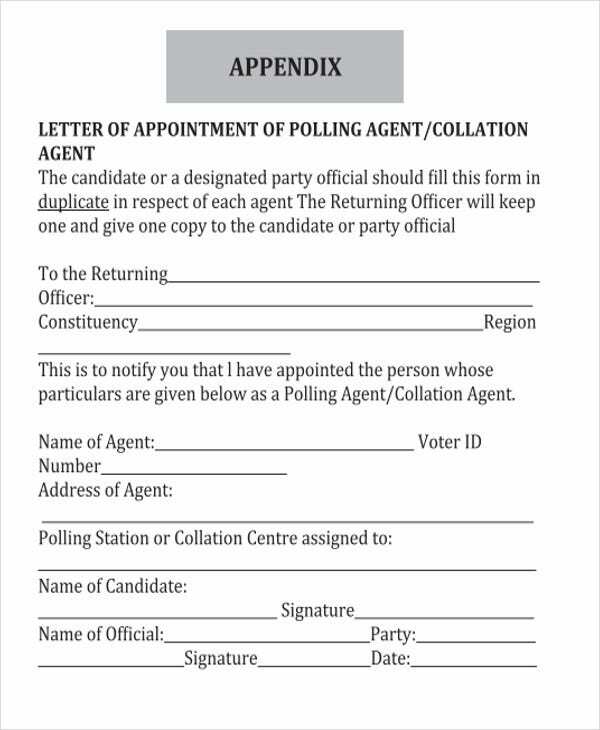 One way of officially doing this, is by sending your agent a letter of appointment. 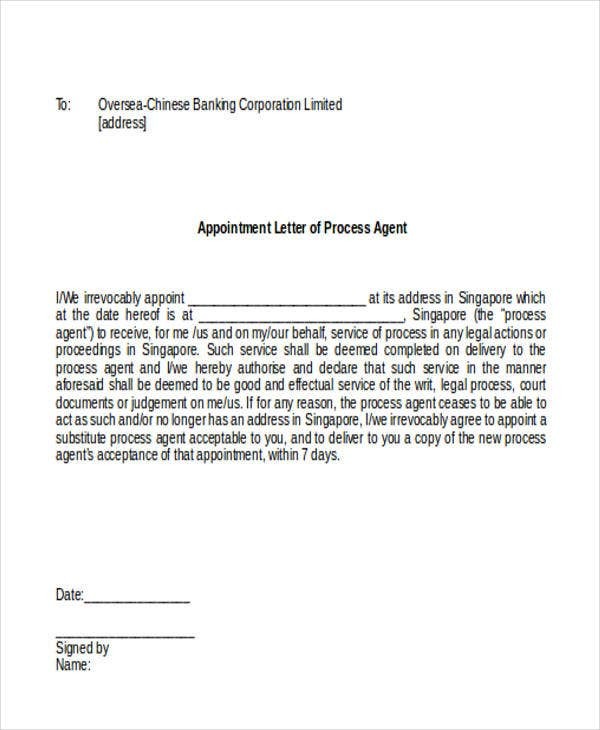 It is a letter written to confirm an appointment of an agent. Furthermore, it will also outline specific reminders and terms that the agent must know and carry out. To help you write the letter, we have templates that you may use and download. 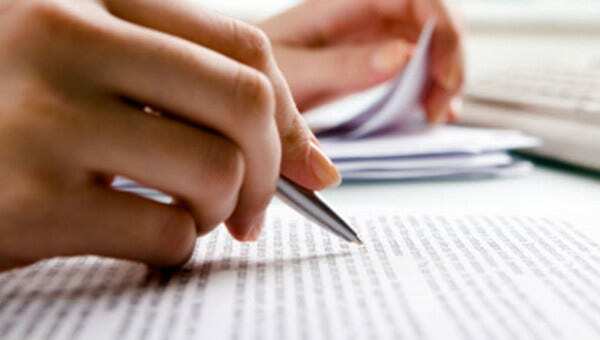 The template will serve as your guide in writing your own appointment letter. To add, we also provided key ideas on how letters of appointment are written especially their key components and dynamics. 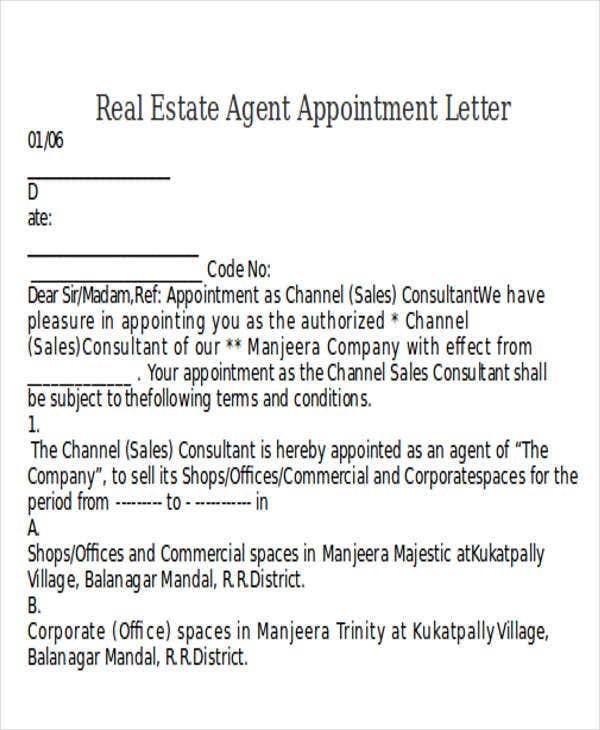 Most appointment letters follow similar style and format. The variation lies when it comes to the type of agent that the principal is transacting with. Here are some templates that you may learn from. 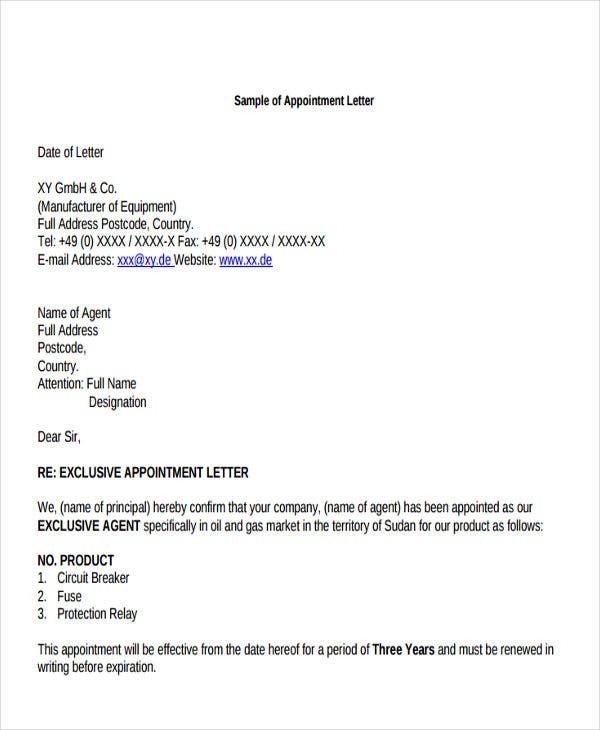 Process Agent Appointment Letter Template – If you’re dealing with a process agent who is responsible for representing you in terms of legal proceedings, then you may refer to this template. It is short and direct. Just emphasize the scope of authority you are giving the process agent. 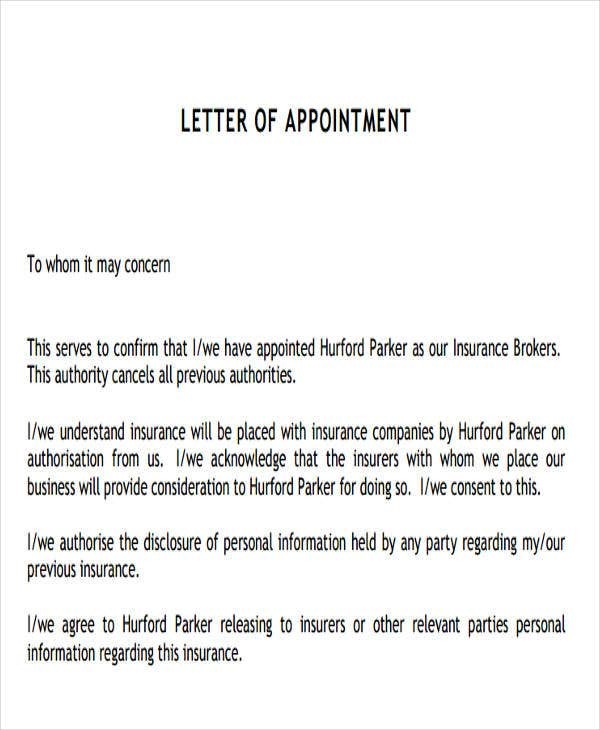 Insurance Brokers Appointment Letter Template – If you’re into the insurance field, then this is perfect for you. 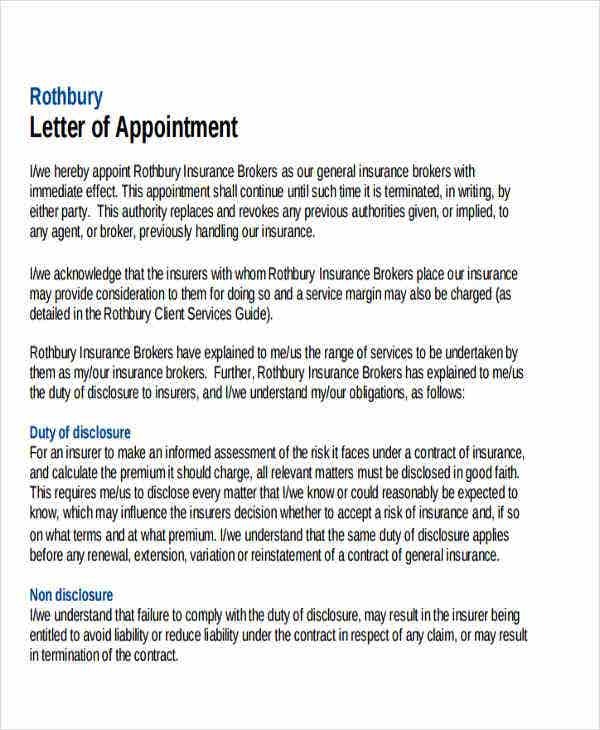 In appointment your an insurance broker, ensure that expressly authorized the agent to look into the your insurance details. 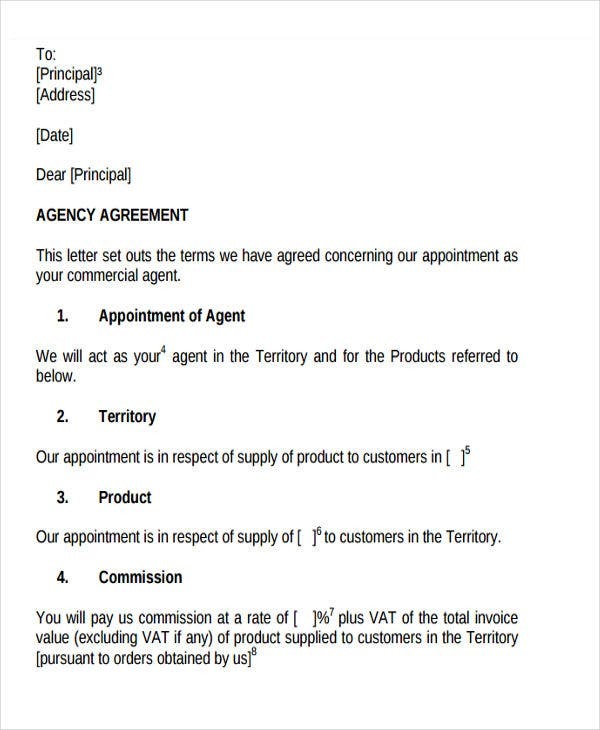 Property Agent Appointment Letter Templates – If you’re a dealer of real properties and you hired an agent to help you manage them, then the templates are perfect for you. To ensure that your proprietary rights are well-respected and uphold, you should discuss with your agent the terms of the appointment. 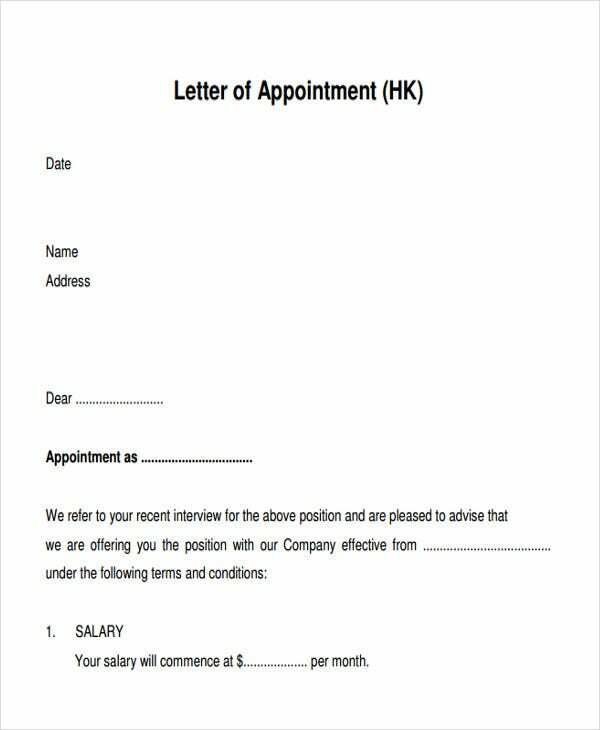 For interview purposes, interview appointment letters can help you substantiate your questions.These are templates that you may use and customize. Let your professionalism shine through the letter. Never take for granted the format and structure of your appointment letter. Bear in mind that the agent acts in behalf of you. In every transaction that the agent does in pursuance to the agreement, is binding on your part. You may use a meeting appointment letter template to invite your agent for a short meeting to further discuss the terms. Here are some essential parts of the said letter. Subject of the Letter – Label the letter accordingly. 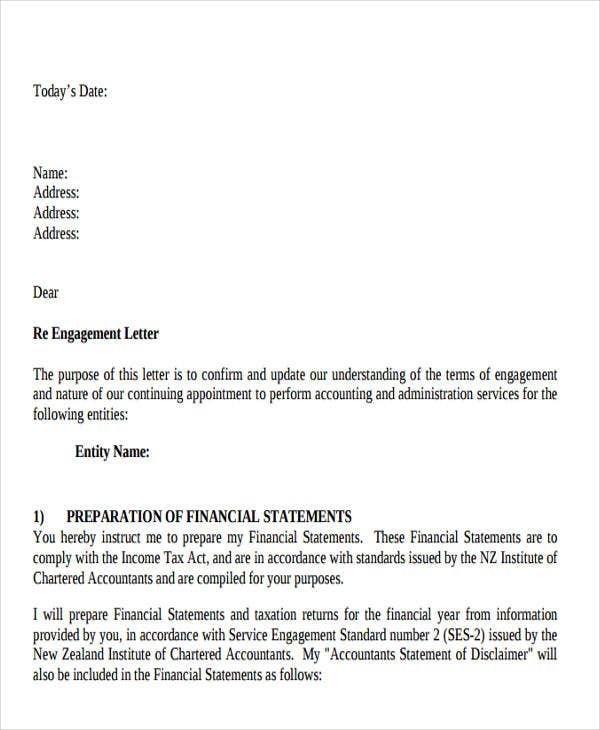 In this case, you may indicate in this section that the letter is an appointment letter with the corresponding designation. Salutations – Clearly spell out the name of the agent. Under this, you can indicate a short introduction or welcoming statement. 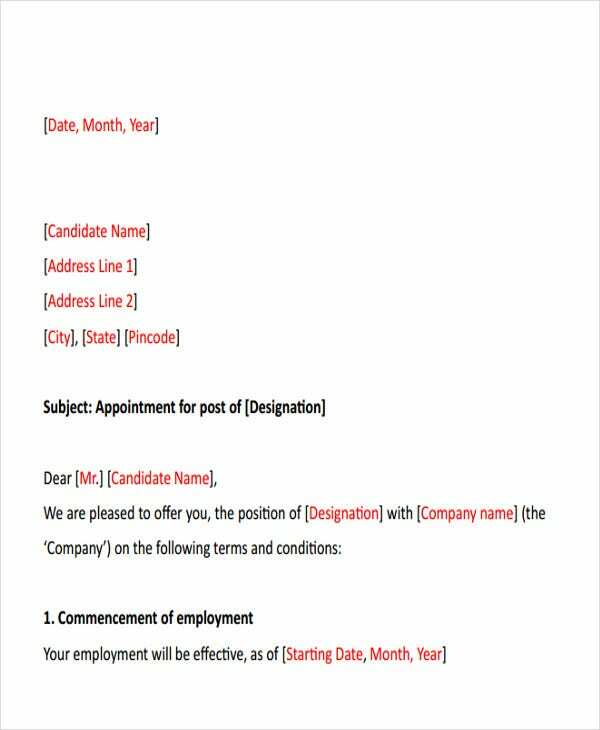 Commencement of Employment – The letter should indicate the effectivity date of the appointment. Job Title – In here, clearly emphasize the position the agent will hold. You can also include the name of the agent’s supervisor for reporting purpose. Salary – In pursuant to the agreement that transpire between you and the agent, you have to indicate here agreed salary package and other benefits. Place of Work and Hours of Work – state the location of the agent’s office and the expected number of hours he or she should render. These are just some of the elements of an appointment letter. You can still add more depending on the tenor of your agreement.